IORA’s whole systems approach to forestry and biodiversity includes application of spatial technology, forest dependence modelling, community engagement, management planning, project implementation, designing robust monitoring strategies, financing and policy design at national and sub-national levels. IORA has also developed a singular platform for building partnerships for forestry that help leverage resources from a public and private sector and channelizing them into interventions for forest conservation and enhancement, identified through scientific research using various methodologies, tools, and techniques. We aim to create a self-sustainable system for each intervention that can continue to support the initiative in the long run. IORA’s biodiversity conservation efforts combine biodiversity assessment, valuation, finance and application of market mechanisms to recognize the true value of biodiversity. IORA advises businesses in managing their biodiversity risk and developing biodiversity positive value chains. We identify financial instruments to incentivize business investments in biodiversity. Haryana Forest Department in collaboration with Indian Railways has taken up climate change adapted afforestation project that aims to mitigate soil erosion and dust pollution. The initiative includes development of tree lines as noise barriers, forest carbon sinks, and increasing of the area under forests. IORA conducted a baseline survey along the railway tracks from Asaoti to Palwal and Gurugram to Patali each of 10 km length. IORA also developed an IORA Railway Afforestation Model (IRAM), comprising of small, medium and large size native tree species like Anogeissus pendula, Azadirachta indica, Boswellia serrata, Cassia fistula and Dalbergia sissoo. 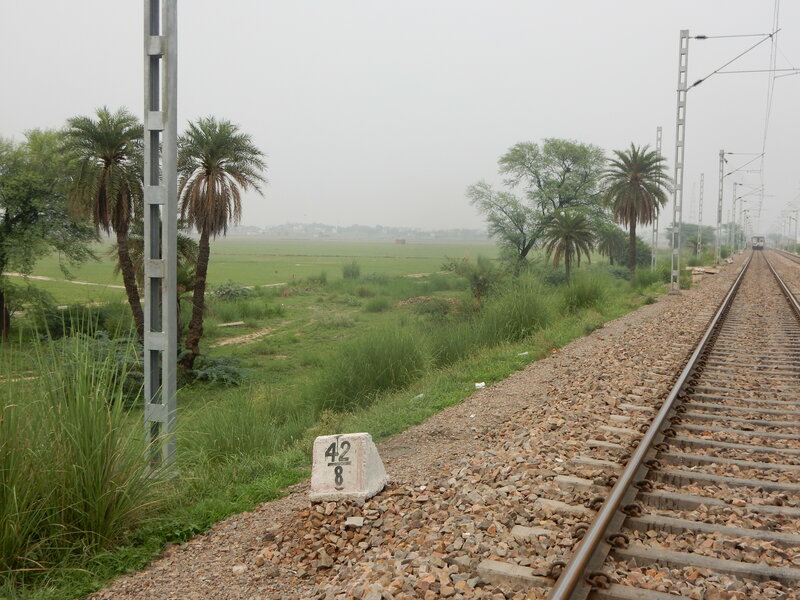 Approximately 25,000 saplings were planted along the railway tracks. To ensure the sustainability of the afforestation programme, IORA has proposed a satellite based temporal and mobile app as a monitoring platform to the forest department. The Mahindra Group, has always been in the forefront of CSR initiatives and has taken up a large scale plantation program Hariyali from 2007-08 onwards. As a part of the initiative, 13 million trees have been planted with an aim to attain low carbon growth. IORA assessed the carbon sequestered by the plantations in Hariyali Project from 2007-09 till 2017-18 and estimated the survival percentage of the plantations, carbon stock assessment of the plantation, and projection of carbon sequestration potential of the plantation for 2020 to 2030. 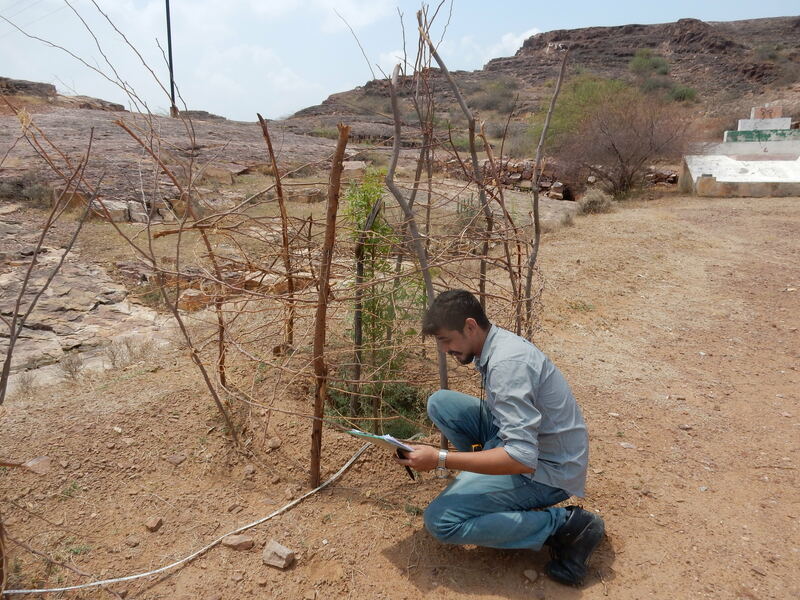 Field surveys were conducted across India. IORA carried out an assessment of the local and imported wood availability in Gujarat and Maharashtra to support a major Japanese Investor and a leading Indian manufacturer in assessing the viability of establishing a Medium Density Fibreboard (MDF) plant in the region. IORA carried out a detailed literature review, interviews with forest department officials, with importers and with others involved in the marketing value chain for wood in order to arrive at reliable estimates. This initiative was to gain a deeper understanding of wood demand and supply; market mechanisms and the role of market functionaries. IORA assessed the surplus availability of wood in Gujarat and adjoining areas of Maharashtra for the proposed MDF and Particle Board plant. Client Name HSIL Limited & Sumitomo Forestry Co., Ltd.
IORA carried out a scoping study for MoEFCC, GoI and GIZ India on developing matrices for mainstreaming biodiversity concerns in business practices of Indian corporates. This scoping study assessed the landscape of biodiversity initiatives in India and globally, and provided recommendations to establish appropriate practices for valuation and conservation of biodiversity. IORA shortlisted candidate Indian companies for four pilot studies to showcase the benefits of this practice. Based on the outcomes of this study and recommendations, CII developed the “India Business and Biodiversity Initiative” for India. IORA, in collaboration with The Energy and Resources Institute (TERI) and Uttar Pradesh Forest Department, developed ten Clean Development Mechanism projects to be managed by JFMCs. The projects are aimed at restoring degraded forests and improving local livelihoods by focussing on JFMC plantations and community development. IORA partnered with Indian Institute of Forest Management (IIFM), Bhopal and International Institute for Applied Systems Analysis (IIASA), Vienna to implement this project. Supported by the Technology Information, Forecasting and Assessment Council (TIFAC), Department of Science and Technology (DST), the project aimed to establish, through detailed field analysis in the three Indian states of Sikkim, Himachal Pradesh and Madhya Pradesh, a relationship between livelihood options of forest-dependent communities and forest ecosystem services, and developed models to relate changes in the carbon stock of forests based on livelihoods. IORA played a key role in evolving the system architecture of the model, in coordinating field data collection with states and in developing and validating the model with IIASA. IORA, in partnership with UNIQUE Forestry and Land Use GmbH has developed the design of a Nationally Appropriate Mitigation Action (NAMA) for the forestry sector in India as part of an Indo-German bilateral initiative guided by the Ministry of Environment, Forest and Climate Change, Government of India and supported by GIZ, India. This NAMA was on “Reducing Forest Degradation and Deforestation in Assam through Sustainable Fuelwood Management”. IORA was involved in identification of NAMA options, elaboration of the institutional and policy set-up, calculation of the baselines and mitigation potentials, qualification and quantification of co-benefits, creation of a capacity development strategy, assessment of required resources for NAMA implementation and designing financing solutions with all involved stakeholders. Additionally, IORA identified international funding opportunities for forestry NAMA in line with the Paris Agreement. 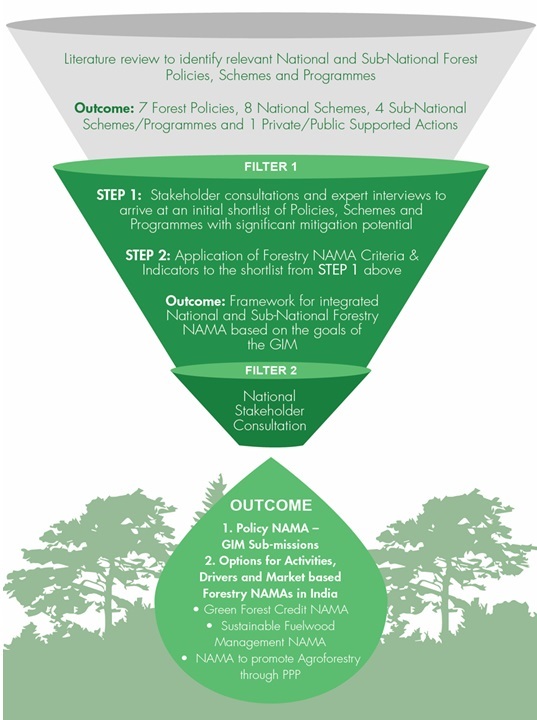 IORA carried out a scoping study for MoEFCC and GIZ, India to identify mitigation options under the Nationally Appropriate Mitigation Actions (NAMAs) in the Indian forestry sector. IORA assessed the mitigation actions in various policies, programs and projects of the forestry sector across India which could potentially be developed as domestic or supported NAMAs. Post stakeholder consultations and analysis, four high impact potential NAMA options were identified. The options were tested for criteria and indicators developed for forestry NAMAs in India and are currently under evaluation by MoEFCC. One of the options – Sustainable Fuelwood Management NAMA – was selected to be India’s first NAMA. Architecture of the program was subsequently designed, followed by pilot implementation in Assam. 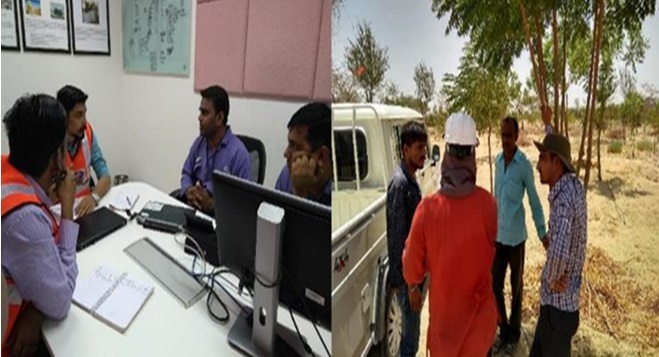 The study was commissioned by Vedanta Limited, Cairn Oil & Gas, for RJ-ON-90/1 Rajasthan block, situated in Barmer district. The main objective of the assignment was to quantity the carbon sequestered in the green belt plantations developed by Cairn India Limited. IORA mapped the green belt areas developed using high resolution satellite images and carried an ecological survey to evaluate the status of plantation raised. The final assessment of carbon sequestration of plantation was calculated for above ground biomass, below ground biomass and soil organic carbon using approved methods for carbon sequestration under UNFCCC Afforestation/Reforestation methodologies. As per the NAPCC Mission – “Sustaining the Himalayan Ecosystem”, ONGC took the initiative for Ringal (Small Hill Bamboo) plantation in 730 Ha in Nanda Devi Biosphere Reserve, Kedarnath Wildlife Division and Pithoragarh Forest Division situated in upper Himalayan region of Uttarakhand. IORA conducted an assessment impact of all visible plantations on Ecosystem Services on the project site. The study includes the assessment of land use pattern of area before the plantation, the present status, and changes that have occurred as a result of plantation. This would also encompass the impact on purification of air, enhancement of water resources in the area and the quality of soil; enhancement of floral diversity; and impact on local communities in terms of livelihood creation. IORA has assisted in updating 21 Working Plans in Assam as per NWPC-2014 using global best practices and latest technology. IORA has provided technical assistance to analyze the data, update relevant portions of the Working Plans and train forest department personnel on NWPC-2014. IORA also aided to access upcoming national and international financial instruments like REDD+, NAMAs, INDCs, Green India Mission. IORA worked on integrating remote sensing analysis and GIS with the working plans in a seamless manner, and created robust datasets. IORA has also developed a mobile app (MForest) to ensure mainstreaming of best practices for future working plan exercises. Under CAMPA (Compensatory Afforestation Fund Management & Planning Authority), large-scale activities have been taken up by Telangana State Forest Department (TSFD) from 2009-2010 onwards for preservation & development of natural forests, afforestation of degraded forest areas, forest protection, forest fire management, management of wildlife, capacity building, research & development, infrastructure development in the sector and other allied works. IORA Ecological Solutions carried out technical evaluation of activities taken up from 2009-2010 to 2015-2016 year wise throughout the state under different components of CAMPA. The study involved design of evaluation methodology, sampling of ten per cent of each component for each year and visits to all concerned forest areas to physically verify and record CAMPA works. IORA was engaged by GIZ India to carry out pilot implementation of India’s first Nationally Appropriate Mitigation Action (NAMA) in the forestry sector on “Reducing Forest Degradation and Deforestation in Assam through Sustainable Fuelwood Management” The NAMA pilot programme demonstrated the practicability of the NAMA concept and its readiness to be scaled up and replicated. The programme ensured deployment and sustained adoption of fuelwood saving technologies in 5 tea estates and 5 forest villages in Assam. A Decision Support System (DSS) based on IORA’s iFoReST model was used. IORA also helped secure finances to deploy fuelwood saving technologies in at least 50 households in each tea estate and the forest village in the chosen cluster from public (e.g. government subsidy programmes) and private sectors (e.g. CSR and personal financing by households). IORA has implemented “Climate Change Adaptation Programme in the Himalaya -Component I Manipur – Community-based Sustainable Forest Management for Water Resources Conservation” in partnership with GFA Consulting Group, Hamburg. The initiative supported the Department of Forests and Environment, Government of Manipur, to develop strategies to adapt to climate change by sustainably developing Manipur’s forests to enhance water catchment functions and local livelihoods. IORA planned and secured support for improvements in forest and water management with the participation of government and village-level stakeholders. IORA supported the restoration and sustainable management of upper watersheds and built capacity for community-based watershed management and enhance downstream water supply. The Economics of Environment and Biodiversity (TEEB) is an international initiative to promote inclusion of the true value of ecosystem services in planning processes at governmental, societal and corporate levels, and develop markets for rewarding conservation. IORA co-authored the TEEB – India Scoping Study for the forestry sector in partnership with the Indian Institute of Science (IISc), Bangalore. The study was supported and published by MoEFCC, GoI. Participatory Integrated Landscape Level Management Plan and Strategy for Jammu & Kashmir Landscape under SECURE-Himalaya. The Ministry of Environment, Forests and Climate Change (MoEFCC), Government of India along with United Nations Development Programme (UNDP) has commenced a new GEF funded project, SECURE Himalaya (Securing livelihoods, conservation, sustainable use and restoration of high range Himalayan ecosystems) in Jammu & Kashmir, Himachal Pradesh, Uttarakhand and Sikkim. The project will assist the national and state governments to effectively promote sustainable land and forest management in alpine pastures in the Himalayan ecosystems that secure sustainable livelihoods and ensure conservation of globally significant biodiversity and threatened species. The overarching objective is to prepare a participatory integrated landscape level management strategy and plans by defining the extent of J&K landscape (alpine and sub-alpine) and evaluation of landscape level strategies that integrate biodiversity, ecosystem services, climate mitigation, sustainable community resource use and socio-economic considerations. It aims to bring about a paradigm shift from the current approach of conservation to new approach of integrated landscape based conservation in areas within and outside protected areas to reduce threats to the biodiversity in the landscape. The project is based within the country’s highest landscape, the Changthang Cold Desert Landscape in the Ladakh region of Jammu and Kashmir. IORA is facilitating active participation of J&K landscape stakeholder’s for identification of critical gaps in the socioeconomic, biodiversity, ecological and ecosystem services sectors. IORA will conduct field validations and apply geospatial technologies to delineate priority areas. Information generated will be simplified and disseminated amongst the stakeholder’s to identify site-specific natural resource conservation actions and enterprise-based sustainable livelihoods. Finally, IORA will facilitate consolidation of all the site-specific actions into an Integrated Landscape Level Strategy and Plan for J&K Landscape. The landscape level plan will be validated through a stakeholders workshops. Goal 5 of India’s Nationally Determined Contribution (NDC) is “to create an additional carbon sink of 2.5 to 3 billion tonnes of CO2eq through additional forest and tree cover by 2030”. In this context, MoEFCC has commissioned a study to develop a roadmap to achieve this goal. The NDCs outline post-2020 climate actions intended under the Paris Agreement of 2015. IORA has been engaged to develop a complete roadmap for achieving NDC goal 5. IORA is mapping all existing plans, programs, measures and mechanisms pertaining to NDC goal 5 and assessing the current status of implementation of these policies. The complete forestry sector encompassing trees outside forests, mangroves, wetlands, coastal and marine ecosystems and plantations along highways is being considered. IORA will conduct a SWOT analysis in the areas of policy, technology, financial and capacity building and then recommend sector specific measures including budgetary requirements to fulfil goal 5. Additionally, IORA will innovative forestry measures like plantations in arid areas that will converge with goal 5. A large scale afforestation was undertaken in Madhya Pradesh in partnership with Madhya Pradesh Government, Mahindra Sanyo Special Steel Private Limited (MSSSPL) and Forest-PLUS. As part of this project, MSSSPL developed a nursery of Bamboo, Teak and Sheesham (Indian Rosewood) plants over a period of one year with the help of training and support provided by IORA (as Forest-PLUS partner). Upon maturity, 42,000 saplings and rhizomes were transported to Harda and Hoshangabad districts in Madhya Pradesh where local administration provided land, labour and inputs for plantation and maintenance of 6000 plants. The remaining 36,000 saplings were planted by farmers on their agricultural land for agro-forestry. Government of MP and Forest Department have committed to ensure health of the plantations over the next three years. MSSSPL has committed for an additional five years of support after the successful initiative.